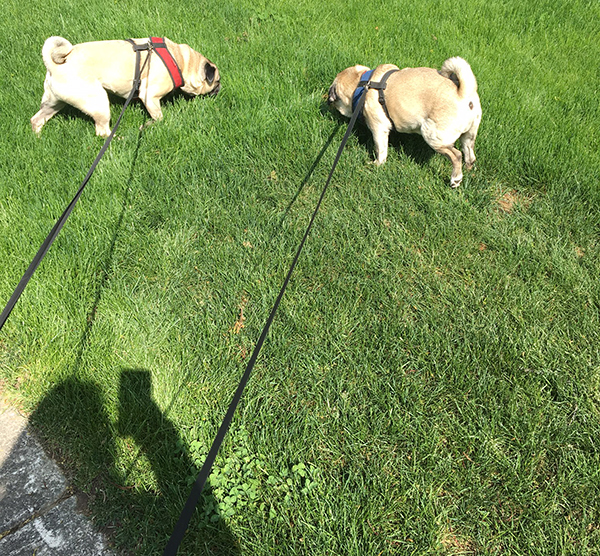 Now that it is warm out, the pugs like to take their jolly old time on potty walks. There is a lot of sniffing and rolling around in the grass. Really anything other that what they are supposed to be doing out there. Even just standing and staring at nothing. 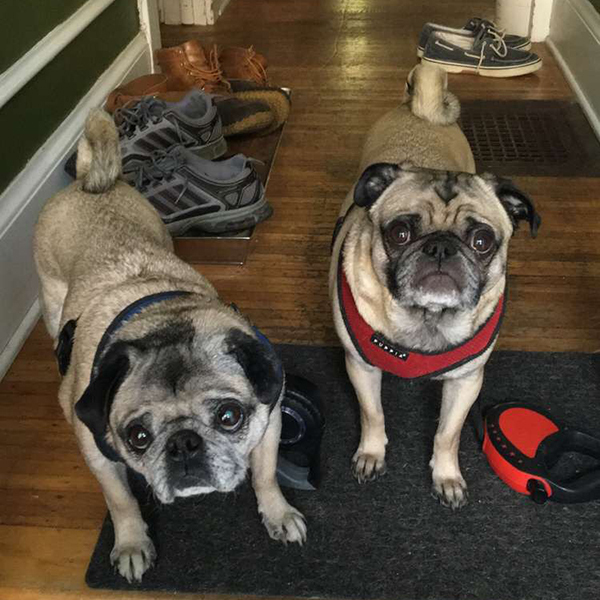 But they love to go out. They push and shove to queue up to get their harnesses on. This was particularly funny. 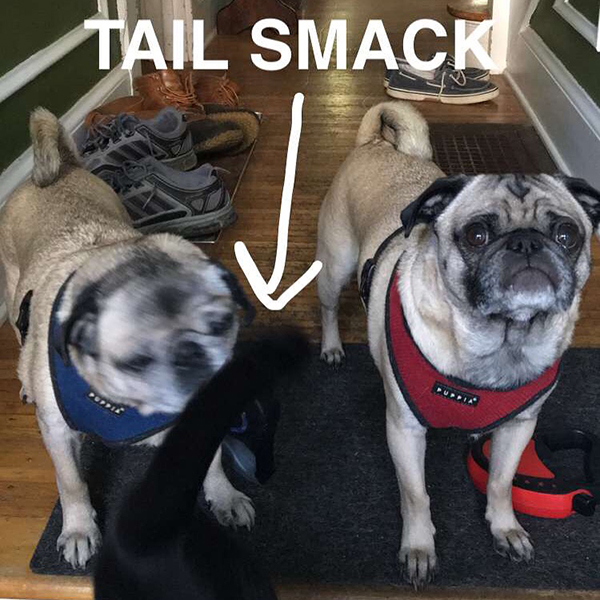 As the pugs were waiting to go outside, Wyatt strolled by and whacked Oscar in the face with his tail. Well as hard as you can whack someone with a cushy, soft, furry tail.